A fantastic island day tour with on-board scuba diving! MV Mantaray is the only of its kind in the Whitsunday region! 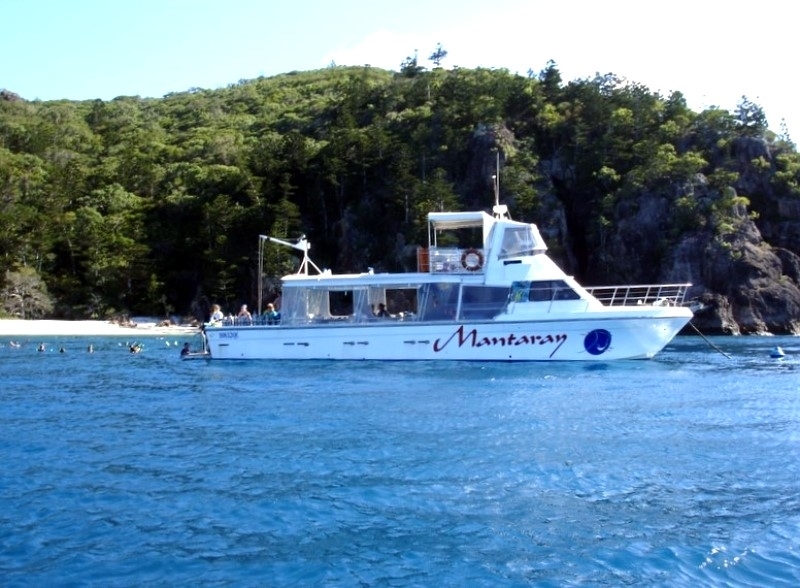 Providing guests with the chance to visit all the prime hot spots such as Hill Inlet Lookout, Whitehaven Beach and Whitsunday Island, Mantaray also allows passengers to experience the underwater world through scuba diving! Whether you want to experience scuba diving for the first time or you are an experienced certified diver, the professional and friendly crew onboard will guide you on an unforgettable dive. If scuba diving isn't your activity of choice that's okay - Mantaray provides guests with quality snorkelling equipment and assistance when requested to ensure everyone can enjoy the water. The coral reefs that MV Mantaray visit are most ideal for snorkellers and scuba divers alike. Depending of the season you can see manta rays, humpback whales, sharks and of course some of the nicest coral reefs in the world! Contact us to secure your place on our boat. 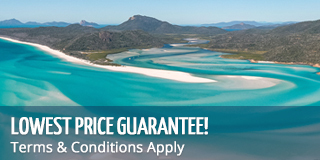 When you come to Queensland you must do some scuba diving on the Whitsunday Islands! Join a guided nature bushwalk through the Whitsunday Island National Park which takes you to view Whitehaven's magical shifting sands from Hill Inlet's scenic lookout point... don't forget to bring your camera as this is one of the most picturesque places in Australia! Later, you will head to the famous beach itself where you can relax, swim and explore! Experience the dramatic contrasts that the area has to offer, from above and below the water. Your experienced crew will consider the days weather conditions and take you to the most ideal snorkelling and diving locations - ensuring you will snorkel or dive the best fringing reefs that the Whitsunday Islands have to offer. Please note: Certified dives should be pre booked at time of booking and divers must be certified with PADI and must have card with them on the day. Intro (non-certified) dives are booked and paid for onboard the boat but you must advise us at time of booking please. Dives are subject to conditions. Photo Credit: MV Mantaray, taken in July 2015! "Mantaray was amazing. It was the perfect trip, especially to take our baby on. Lots of room, great food, beautiful locations. Highly recommend to anyone with children."